The majority of people face tax debt problems are taxpayers who made financial mistakes and don’t know the tax law very well. The results are that they end up owing the IRS money and end up not being able to pay. Many people overextend themselves and even evade going to jail because of their tax debt problems. The consequences are real but a lot of people think this only happens in film and television. The average person who owes money to the Internal Revenue Service will not go to jail. They can face long years of debt and financial struggle due to mistakes that they made. The IRS is the largest collection agency in the world. The legal rights granted to the IRS include garnishment of your income from all sources, placing a lien on any property or credit that you own or are paying for, and outright seizure of any property that you own. The amount of tax that you owe acclimates interest and penalties on a daily biases. You may be subject to penalties for late payment as well. The idea here is not to intimidate taxpayers but to make the taxpayer take steps to resolve the tax debt problems as quickly as possible. Many people who owe a substantial amount of money to the IRS think that they can handle the problem on their own. Don’t try and tackle your tax matter alone, reach out to a tax pro. 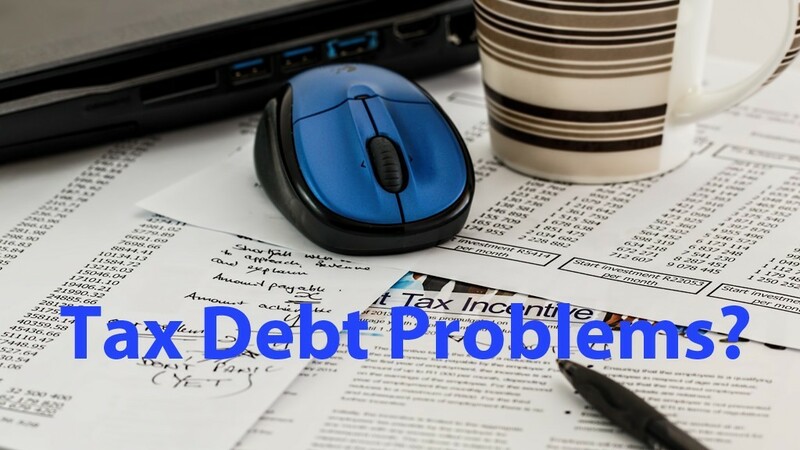 The goal is to avoid increasing tax debt that could have been avoided if the person had looked for tax debt relief to deal with their tax debt problems. A licensed tax attorney is your best source for advice and direction for tax debt relief. They can present you with the tax relief options that apply to your specific situation. A tax attorney can protect your assets from the IRS. This gives you time to make the best decision possible that costs you the least. And if you want to lower your debt or eliminate your debt, an experienced tax lawyer is your best resource for negotiating a reasonable tax debt relief with the IRS. The following are some of the tax relief options that a tax attorney can help a person with who has tax debt issues. The majority of people would never know about these alternatives without the advice of an experienced tax lawyer. The IRS has developed programs to relief tax debt problem for taxpayers who can’t afford to pay their tax debt. Form 433A or 433B makes the tax collection process stop. The requirement is that a person or a business proves to the IRS that they only make enough money to meet life expenses. The taxpayer account is frozen and all collection efforts cease until the taxpayer can afford to start making payments. The IRS will compromise. The basis for the compromise is the taxpayer’s ability to pay. Health factors, disability, and age are taken into account. You pay what you can. Another compromise allows you to pay less if paying the full amount would take away your home. The IRS is willing to negotiate for a release of garnishment of your income in part or in total. You and the tax attorneys must prove that the garnishment produces an unnecessary hardship on you and your family. An example would be the inability to provide proper nutrition for your children. You are also allowed to negotiate the release of some bank accounts from control through an IRS levy. This procedure is complicated because it involves a bank and the IRS. The bank wants to protect itself more than you. The IRS may attempt to levy a spouse’s account that is held only by the spouse. If the spouse is not a part of the business that the IRS is seeking taxes from or the couple files separate tax returns then, the IRS acted illegally. The IRS will arrange for a taxpayer to pay their tax debt over time. The amount of the monthly payment is based on income and living expenses. This arrangement reduces or can completely eliminate interest payments and penalties. The IRS sees bankruptcy as the chance for a person or a business to start new. There are some restrictions that prevent the use of credit for a period of time. You may qualify for complete relief of all debts or a partial release from some tax debt. This step should be taken with sound advice. Tax debt problems can be a source of anxiety, emotional upset, and paranoia. A letter from the IRS can make your life spin out of control. A fear of losing everything that you have worked for all of your life threatens you every minute of the day. It takes years to master the taxation law. Getting advice and direction from a tax specialist is very important when dealing with tax debt problems. Our tax lawyers help to create a plan of action to relief tax debt problems with the IRS. We will take the time to evaluate your situation. Our goal is to give you the best tax relief advice that fit your circumstances and ultimately give you a fresh debt free life again.